The G.W. 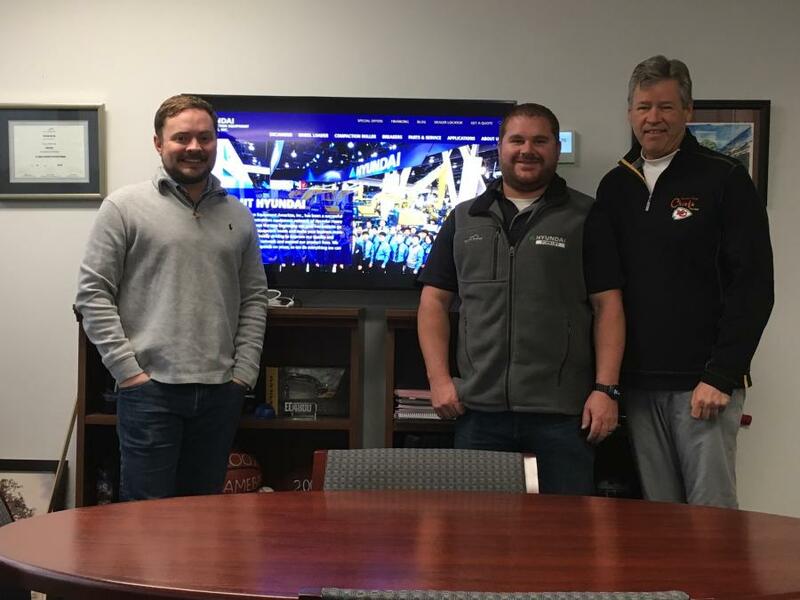 Van Keppel team (L-R) includes Taylor Killion, general manager of construction equipment; Ben Schmidtlein, aggregate territory manager; and Bill Walker, president. Hyundai Construction Equipment Americas has announced the expansion of its North American authorized dealer network with the addition of The G.W. Van Keppel Company. Van Keppel was founded in 1926 and is a leading provider of equipment and services for construction, aggregate, quarry supply and material handling industries in the Midwest. Van Keppel will be offering Hyundai Construction Equipment at its St. Louis, Mo., location. "I am very excited to have a dealer with the experience, expertise and customer support capabilities that Van Keppel provides representing our product in the surrounding St. Louis market area including eastern Missouri," said Ed Harseim, HCEA district manager — North Central. "Van Keppel's knowledge of key industry segments such as construction and aggregate, combined with Hyundai's industry-leading excavator and wheel loader products, is a good match for us." For information about Hyundai Construction Equipment Americas, Hyundai products or dealership opportunities, call 877/509-2254 or visit www.hceamericas.com.